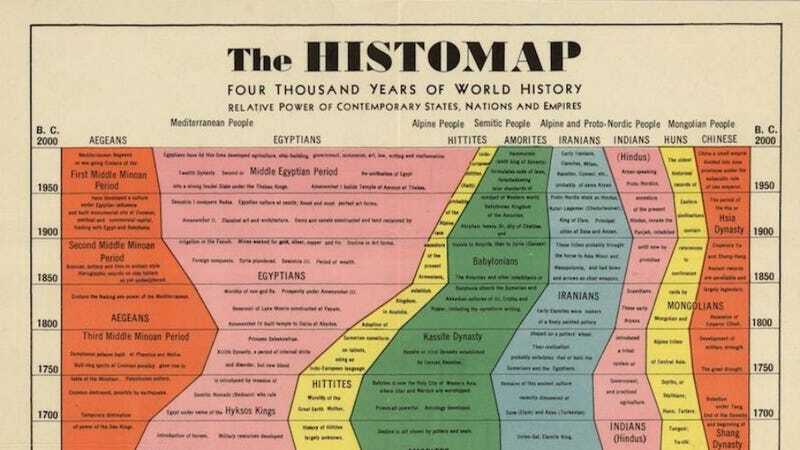 Initially published by Rand McNally in 1931, the Histomap took the form of a five-foot-long poster folded down into a relatively normal-sized envelope and sold for a dollar, or $12.40 in today's money. The Vault dug up an image of the envelope, and the pitch written on the outside pretty much speaks for itself. You can find a freakin' massive, fully-zoomable image of the Histomap here.